Evergreen shrub to 3–4 ft. with graceful arching stems, grayish green foliage. 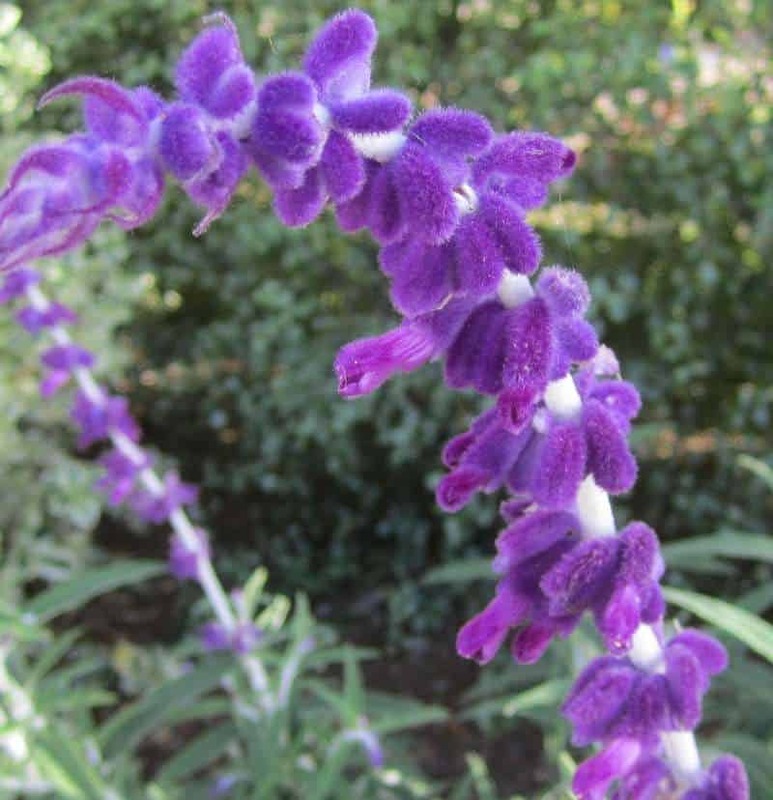 Long velvety purple spikes set with small white flowers bloom abundantly in summer and fall. Cut old stems to the ground. To limit size and encourage vigorous flowers, cut plant to ground before spring growth and again in summer. Regular maintenance should include cutting old stems to the ground.